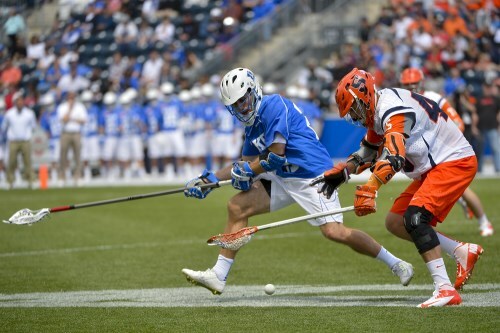 The ball ends up on the ground often in lacrosse, so knowing how to scoop a ground ball (and hold onto it) is an important skill. Start out by learning to scoop while standing still. Then move on to scooping while walking, jogging, and finally sprinting. Practice both right and left handed.